Why does some moisturizer break me out while other moisturizers seem to do nothing, no matter how much or how often I apply it? Well, if you’ve been following me for a while, you’ve probably already guessed the answer, since it’s at the heart of our Skin Quiz. Basically, it all comes down to your skin type and if you’re using a moisturizer that works with your skin or against your skin. Did you know that there are 2 types of moisturizers that work in different ways to hydrate your skin? There are water-based and oil-based moisturizers. Water-based moisturizers pull water into your skin while oil-based moisturizers prevent water from evaporating from your skin. The type you’ll want will depend on your unique skin. For instance, if you have dry skin, you will want a water-based moisturizer to infuse your skin with deep hydration. If you live in a dry environment, you’ll want an oil-based moisturizer since it prevents water from evaporating from your skin. And if you have dry skin and live in a dry environment? You’ll need a water-based and oil-based moisturizer! 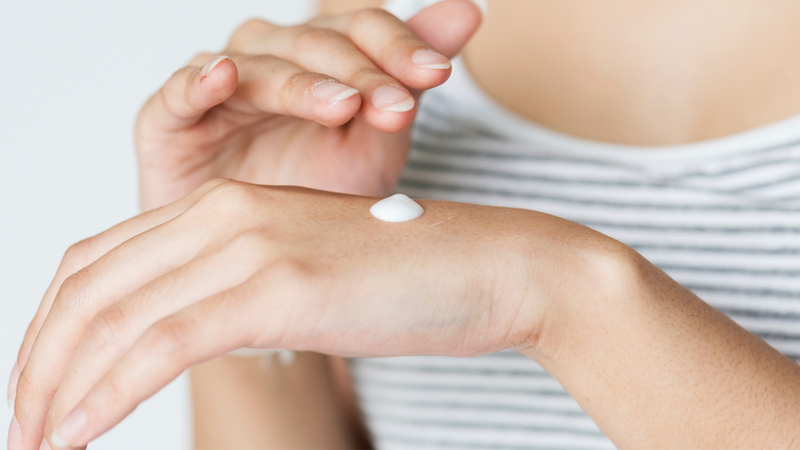 Most people pick the wrong moisturizer because they simply don’t know what type of skin they have! All too often I hear people with oily skin saying they do NOT have dry skin. Well, this may be technically true, but did you know that oily skin is the type that thirsts for water the most? That’s right: Oily skin is so very thirsty that it produces extra amounts of oil to prevent more water from evaporating! It is desperate to hold on to the moisture it does have—and wiping oil off your face only makes the situation worse since signals your skin to produce more and more and more oil—it’s a vicious cycle! The only effective way to reduce the oil of oily skin is to give your skin the moisture it craves!!! When you take the Skin Quiz, Y’OUR does all the calculations to determine just what type of skin you have so we can make sure you’re getting a moisturizer that actually works—and feels great!